A Long, Long Trail is the story of the famous Rimutaka Hill marches. The New Zealand Army used the Rimutaka Hill road, between Wairarapa and Hutt Valley, as the ultimate fitness test for infantry about to embark for service on the Western Front in World War One. Over 30,000 soldiers climbed to the 555 metre summit on their three-day trek, usually fed and cheered by patriotic civilians. 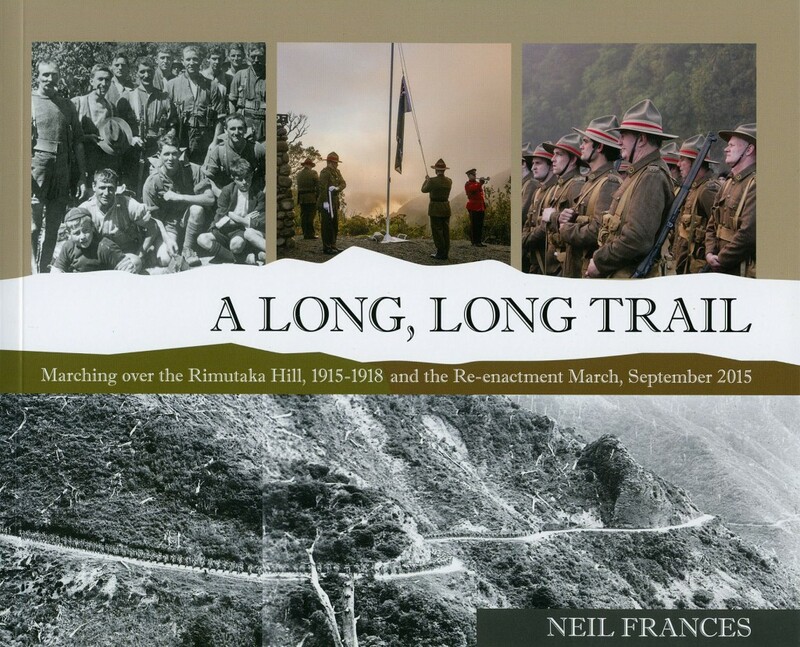 The reinforcement marches from 1915-1918 were widely photographed and reported, making the Rimutaka trek a public affair. As part of the centenary of the Great War, a Wairarapa group re-enacted the Rimutaka Crossing on 27 September 2015, with many participants descendants of the original marchers. In his fifth military history, the Wairarapa Archive’s Neil Frances tells the story of the historic wartime marches and the emotional re-enactment crossing, highlighting the importance of Wairarapa’s place in New Zealand’s military story. The book can be purchased at Wairarapa Archive for $30.